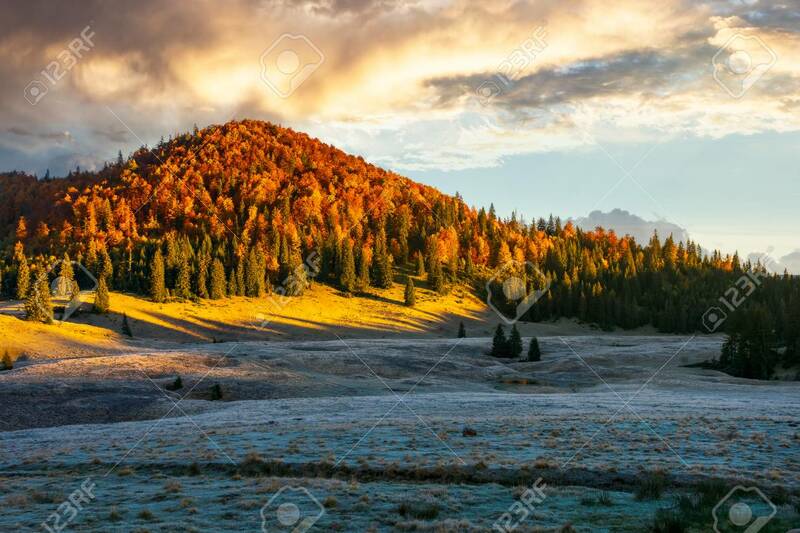 Gorgeous Sunrise In Mountains. Forest In Fall Color. Distant.. Stock Photo, Picture And Royalty Free Image. Image 109273792.